I've trained and competed regularly in the Fushida COMPLS women's gi for the last 8-9 months and it's held up extremely well despite rigorous daily use. This is my new favorite gi for both training and competition. It fits the female form perfectly, is constructed really well, and is aesthetically appealing without being overdone. I would say the sizing chart is very accurate. 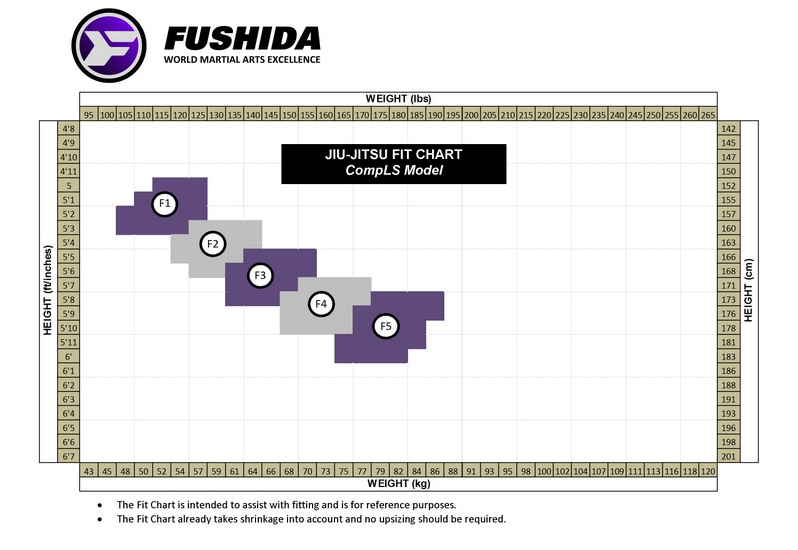 For reference, I wear an F1 and I'm about 5'1" tall and weigh between 115-125 lbs depending on the time of year ;) Two of my training partners also have this gi, and they were both able to use this size chart to accurately select the perfect size as well. This gi fits me really well which is a rare find for my petite yet athletic build. The jacket is the perfect length for my long torso at ~25.5in / 65cm lapel to hem after washing and hang drying and gives ample room in the shoulders for my relatively broad back. The sleeves are the perfect length as well at ~25in / 63.5cm lapel to hem after washing and hang drying. 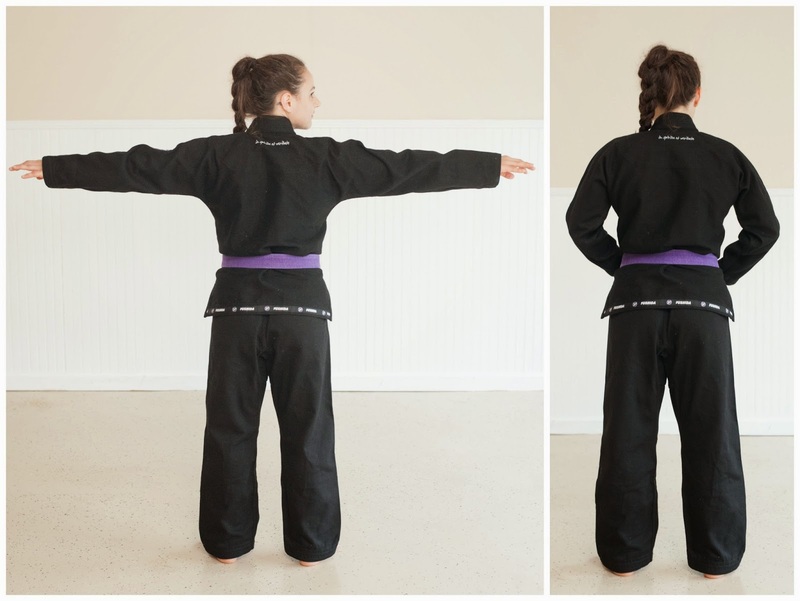 Plus, the sleeves minimally taper and are wide enough that I never worry about them passing IBJJF standards. The pants are also cut to accommodate the female hip without over compensating (another common issue I find with women's gis). Plus, they don't create the 'diaper' effect many gi pants do - win!! The pants are straight from the hip through the leg and have a single, unobtrusive logo on the left pant leg. The pants tie with a black nylon rope and offer ample tie loops totaling 4 across the front to ensure a secure fit. The pants were just a tad long when I first got this gi but shrunk to be the perfect length at ~33.5in / 85cm after washing in warm and tumble drying (keep in mind I'm only 5'1" and am mostly torso...). This gi has a great aesthetic all while providing quality that's built to hold up over time. You can tell as soon as you put this gi on that it's well made. The fabric has a smooth yet durable feel and the stitching is reinforced in all the right places. 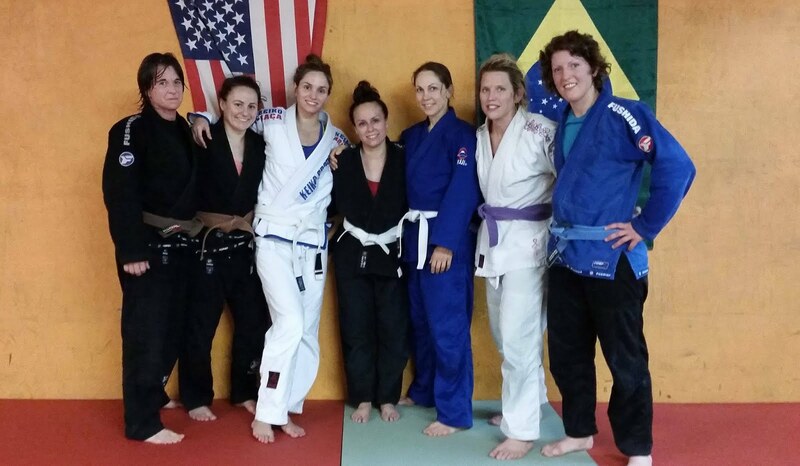 Plus, this gi never stretches during training which is a biggie for me; I can't stand it when my gi stretches. I've put this gi through hell and back between my training and competition regimen and it looks just as good today as it did 8-9 months ago. In addition to the quality, I really love the slightly feminine yet clean design this gi offers. 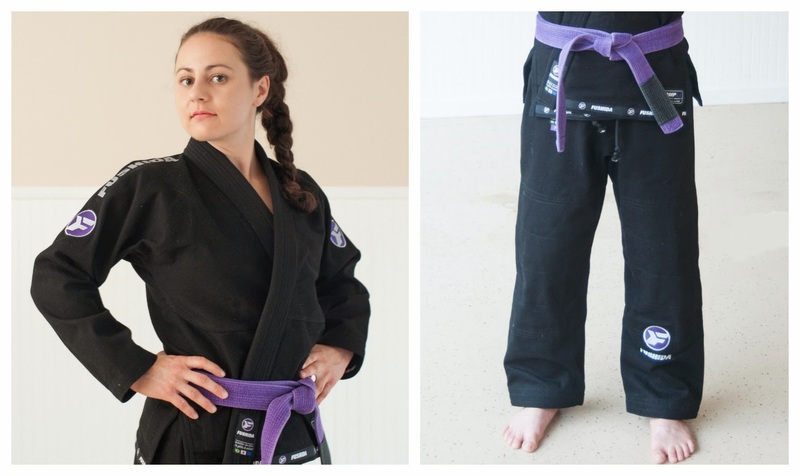 The subtle purple accents - my favorite color :) - and seemingly personal touches really make this gi feel special. 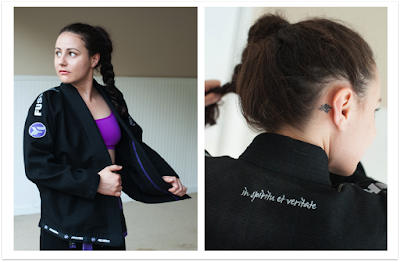 Of course the gi is branded, but it's done in a subtle, attractive way that lets you feel like you're still representing yourself on the mat. The beauty is in the details. This is a great investment gi for the female BJJ practicioner in it for the long haul. Although this gi may be a tad pricier than the average female gi out there, it's going to fit well and it's going to hold up over time. 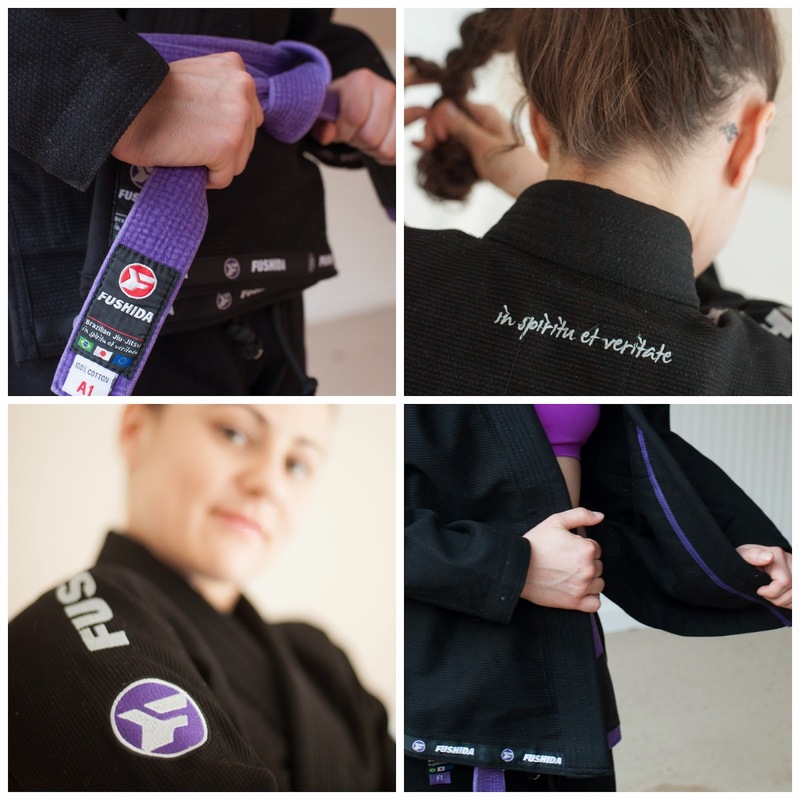 Bottomline, this gi offers an attractive, classic design and a level of quality you can't beat. Cons: The only con I would note is the gi weight. With my belt, it comes in at about 4 lbs. For someone who cuts weight for tournaments, this can be a big factor when I'm close on weight. BUT, I would say the pros mentioned above definitely make it worth cutting the extra pound or two. Thanks for the photography help, Uncle Mark!! Check him out for all of your photography and video needs at Atlanta Studios! !